In 2017, after BTS traveled Hawaii together, they revealed the story via reality program BTS BON VOYAGE SEASON 2. 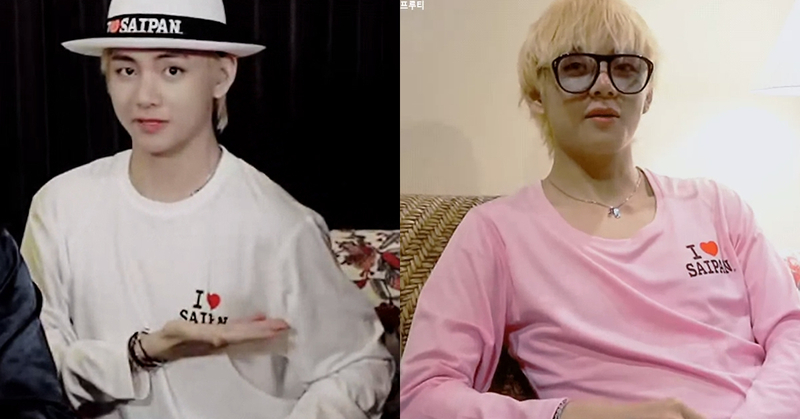 While BTS members were enjoying the fun trip, the thing caught attention was V's T-shirt. He was wearing a white t-shirt, which has the shape and letters of Hawaii Island on it, and that undoubtedly shows he is a Hawaii tourist. Seems like it is V's habit that he buys costume or souvenirs that symbols the places wherever he goes. 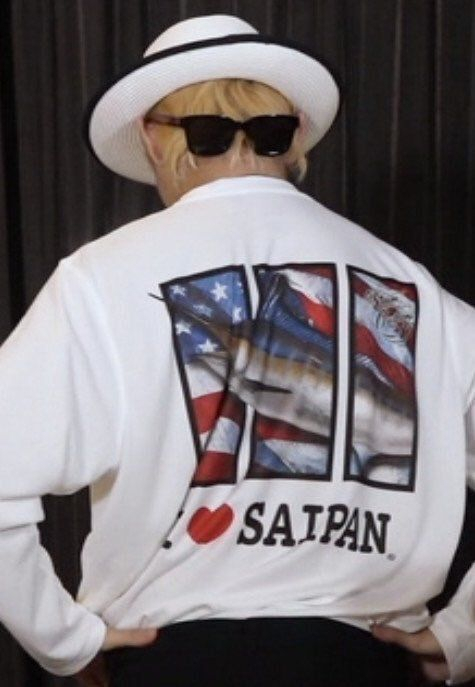 He is almost like Saipan honorary ambassador. 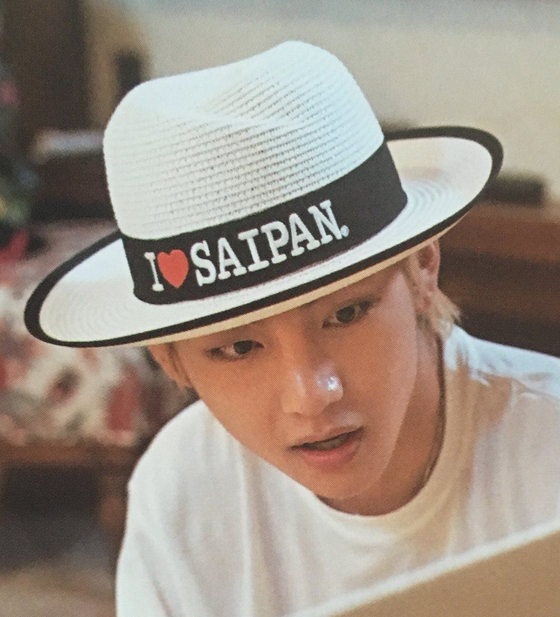 Seems like he is fall in love with Saipan. According to J-Hope's testimony, V is collecting hats by cities.